UK ambassador to France Ed Llewellyn says the UK will not forge ties with far-right presidential candidate Marine Le Pen because it is not government policy. Llewellyn told MPs that Britain had a long standing policy of not engaging with Front National, despite Le Pen polling in second place behind ex-prime minister Francois Fillon. 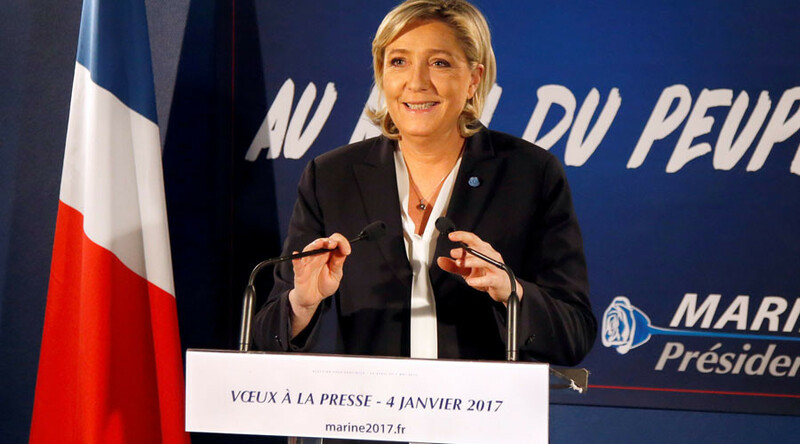 The daughter of Jean-Marie Le Pen, who led Front National for nearly 40 years, is widely expected to make the final round of the election in May against another candidate, most likely Fillon. Britain’s envoy in Paris told the Foreign Affairs Select Committee that his staff is forging links with other French presidential candidates, but not with Le Pen. The ambassador said the government didn’t know who the left-wing challenger would be in the French presidential election, which will enter its first round of voting on April 23, with the final runoff scheduled for May 7. “We know who the candidate is on the center-right, the candidate is Monsieur Fillon, obviously we have contacts with him and his team,” he said. Britain was caught out following Donald Trump’s victory in the US presidential election last November, having apparently made few preparations for the Republican’s victory. Prime Minister Theresa May was left red faced after the President-elect breached diplomatic protocol by suggesting that ex-UKIP leader Nigel Farage become the UK’s ambassador to Washington, while Foreign Secretary Boris Johnson has had to backtrack on comments he made during the election campaign, when he said Trump was “unfit” to lead the US.